Never tried an Arepas? You. Are. Missing. Out. 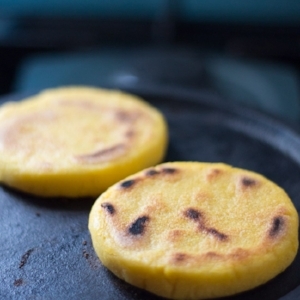 Arepas can be best described as small delicious pillows, crunchy on the outside and soft comforting on the inside. According to WikiP' they originate from Columbia and Venezuela but I have a feeling they're more of a South America recipe now-a-days - they're definitely all over the "Street Food" scene. Personally I'd score plain Arepas .... 6 out of 10. Filled Arepas .... well they can go to eleven. 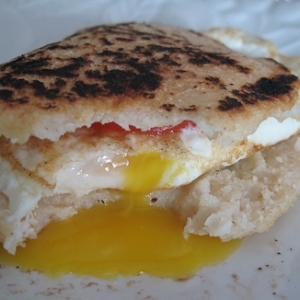 Here are a collection of low FODMAP Arepas recipes that you can easily make at home. Please comment and let me know your favourite. Some of the recipes add elements like salsas - please ensure you skip any of the "additions" that are going to be high FODMAP. NOTE : Make sure you skip the suggested salsa! 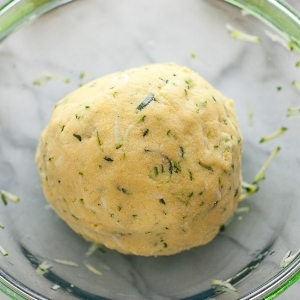 Note : Even though this is not strictly a recipe - as an idea it is just yummy.